Mint Green Set | 4 walls and 4 floors I made in a mint green. 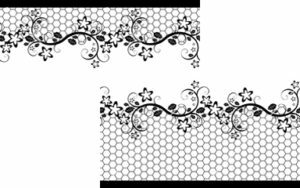 Black & White Walls with Star Border | The 3 walls have a whimsical hex cell and star border. Black & White Floors | These black & white floors have different patterns on them.